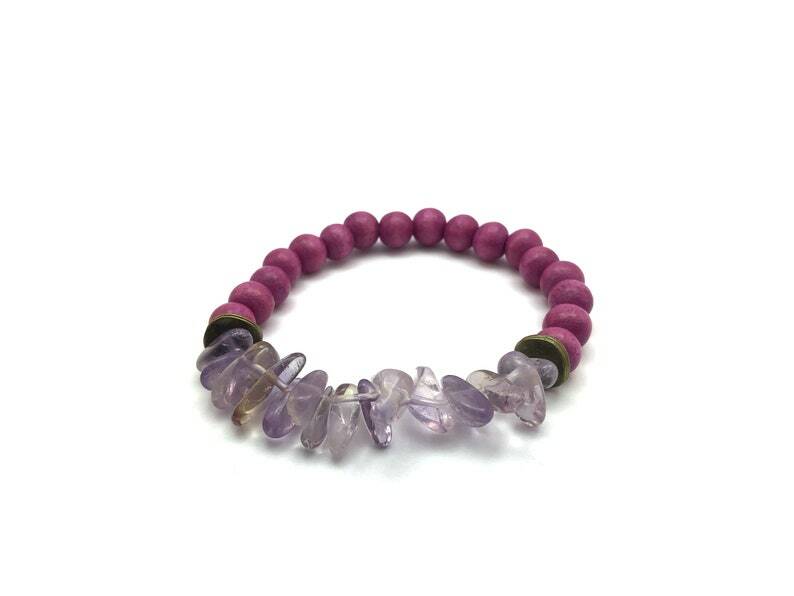 This energy bracelet is made of stones that will encourage intentions of emotional balance, stress relief and creativity. Check the Gemstone Intentions section for more. - Wood: protection, grounding, strength, healing, and wisdom. - Ametrine: holds both properties of amethyst and citrine, balance, connection, serenity, creativity, good fortune, healing.